Make this trip! Postcards from the Future. Who hasn’t had yet made this trip, having visions of the future, or at least imagined a different world? 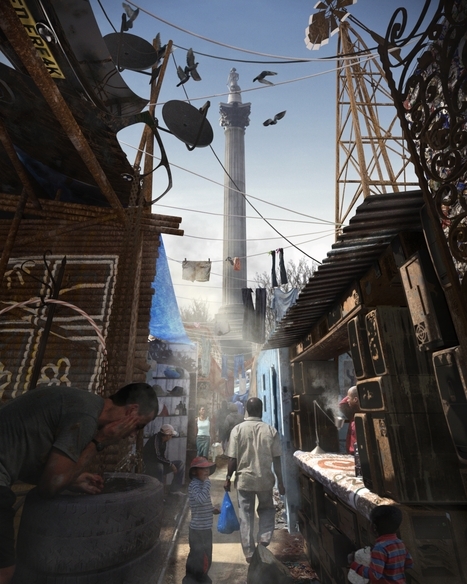 To share images that bring new ideas to life and, ate the same time, frame the climate change debate, it’s the main goal of the exhibition “Postcards from the Future” in London. If you plan to travel to London, Until 6 March 2011, a display of 14 impressive images will be on display at the Museum of London. 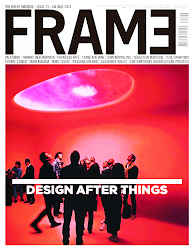 Food scarcity, rising sea levels and how all Londoners will need to innovate and adapt to survive are highlighted in this exhibition. 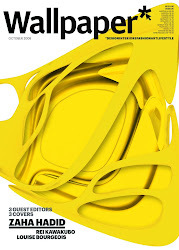 Is curious to perceive scenarios created for areas that some of us might well know. Is the case of the Norman Foster building, the Swiss Re Tower in London squatted after the collapse of the global economy. This iconic City office tower is here transformed into a high-rise housing building. 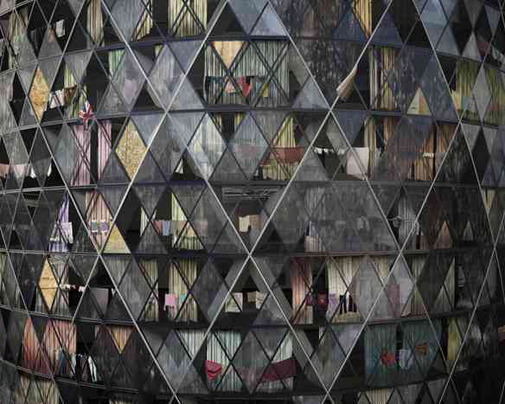 Originally converted into luxury flats, the block soon slid down the social scale to become a high-density, multi-occupation tower block, and currently triggering a potential vertical slum. 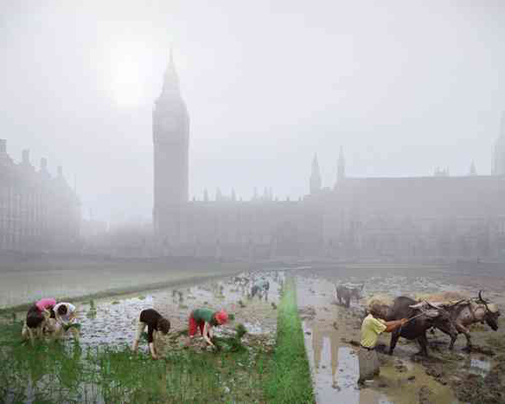 This view across Parliament Square shows paddy fields running up to the walls of the Palace of Westminster. The land that once housed political protest is now part of the city’s food production effort. 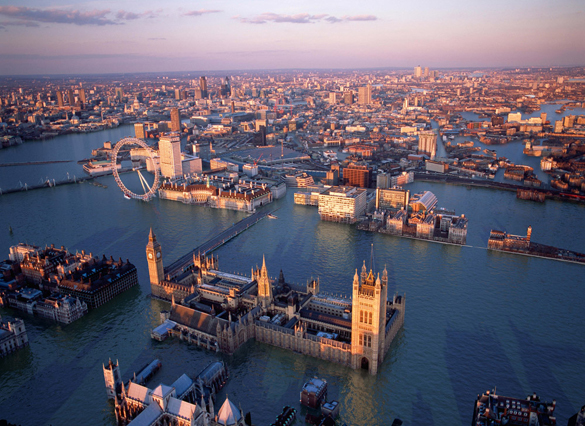 In this scenario London has adapted to rising water tables in radical ways. Managed flooding is now the name of the game, as is self-sufficiency in food. Central London is a network of rice paddies – and Londoners’ diet is largely rice-based. The climate refugee crisis reaches epic proportions. 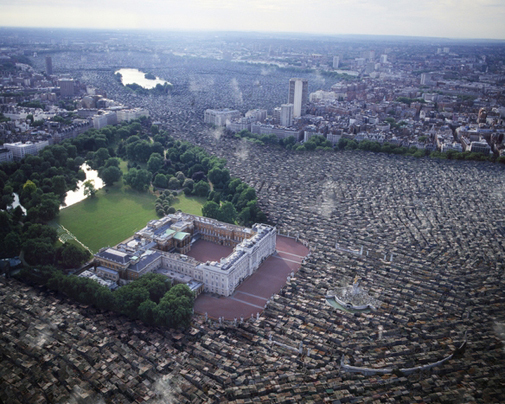 The vast shanty town that stretches across London’s centre leaves historic buildings marooned, including Buckingham Palace. The Royal family is surrounded in their London home. Everybody is on the move and the flooded city centre is now uninhabitable and empty – apart from the thousands of shanty-dwellers. But should empty buildings and land be opened up to climate refugees? Nelson looks down on a shanty town of climate refugees. As the equatorial belt becomes uninhabitable, people are driven north in search of food and security. People settle wherever they can and many reach London. This is the political dilemma of the day for all European countries. The numbers are overwhelming. London’s strategy is to cluster the new arrivals in the historic centre, rather than spread them through the suburbs, where most Londoners now live. This image shows the impact of 6-metre flooding, the level required to breach the Thames Barrier. Traditional rituals have altered beyond recognition, along with the climate. 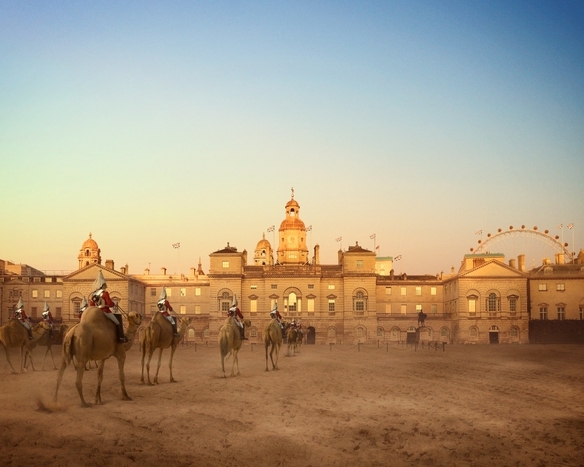 Here, on Horse Guards Parade, horses have been replaced by camels – animals that can withstand the heat of the parade ground. The change was controversial but the London Tourist Board argued strongly in favour. Tourism remains important for London’s economy. As the Gulf Stream slows a mini ice-age brings temporary relief to heat-weary Londoners. 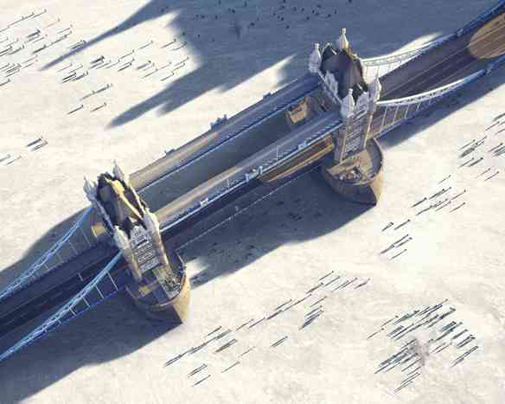 Winter skating becomes London’s most popular sport and Tower Bridge is a favourite spot. The scene harks back to the 17th century when artists loved to paint London’s Frost Fairs. Then, the Thames froze over because the river flowed sluggishly. Now, the river flows quickly but every winter the temperature falls to new lows. That archetypical British driveway The Mall, has become a wind-farm. 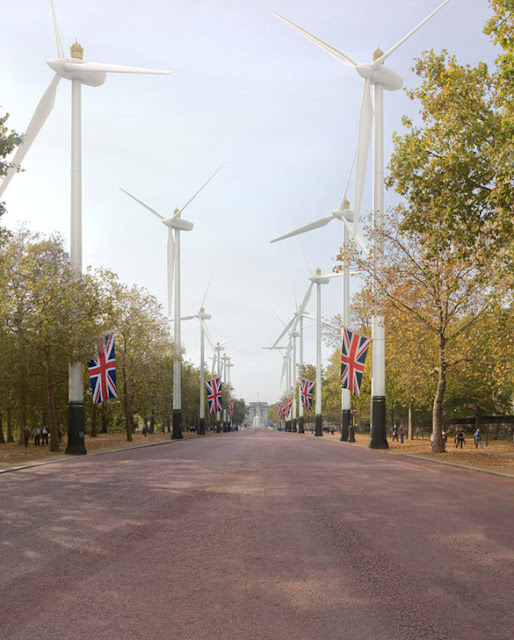 Wind turbines tower over flags, as the desperate quest for renewable energy takes precedence over any remaining notions of Britishness. Cars? Now what on earth were they? Wind farms are usually associated with bleak moors, distant hillsides or faraway patches of sea. But will we see more in our own back yards, even royal ones? Even we were surprised by the way the story unfolded as the scene was created. Each picture has become a mini soap-opera, alive with colour, drama, triumph and adversity as our city is transformed and Londoners adapt to meet this change.” in: The city digitally transformed by the illustrators Robert Graves and Didier Madoc-Jones. After several months of “harassment”, I finally accepted to share something in this blog.